Riverglade Caravan Park is situated on the banks of the beautiful Tumut River in the town of Tumut, at the foothills of the Snowy Mountains, NSW. With a quiet, relaxed atmosphere and a beautiful natural setting, Riverglade Caravan Park has a range of comfortable cabin and site accommodation to suit all budgets. The Tumut region is renowned for it’s natural beauty with a wealth of activities and attractions for the whole family. View our accommodation options and make a booking. We have a range of accommodation to suit all budgets and tastes. Our park features modern, clean facilities and amenities to make your stay pleasant and hassle-free. The Tumut Region is a beautiful part of the world waiting to be explored, find out more. 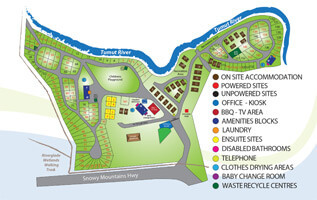 Book your stay at Riverglade securely and easily.